means the Standard Terms and Conditions set out in this document and governing the provision of Racing 4 Profit’s service to Subscribers. means the contract for the provision of Racing 4 Profit’s Service. 1.2 The Contract governs the provision of Racing 4 Profit’s Service to the Subscriber to the exclusion of all other written or verbal representations, statements, understandings, negotiations, proposals or agreements. 3.1 Racing 4 Profit Ltd. shall provide the service to the subscriber throughout the subscription period. The service is not fault free and subscribers shall be entitled only to the quality of service provided by Racing 4 Profit from time to time for it’s customers generally. 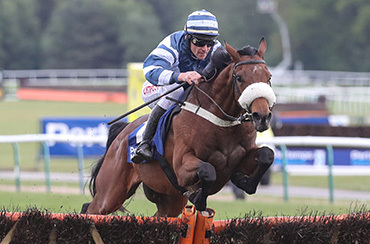 Racing 4 Profit will use all reasonable endeavours to maintain the Service but, save in the circumstances referred to at condition 3.4 Subscribers will not be eligible for any compensation because they cannot use the service or because of a failure, suspension or withdrawal of all or any part of the service. Racing 4 Profit reserves the right to suspend or cancel service at its sole discretion in the event that a subscriber does not fulfil his obligations under this agreement. 5.2.2 Subscribers may not allow other persons to use such subscriber’s identity. 7.2 By notice – in the case of Racing 4 Profit by at least (thirty days) notice; in the case of the subscriber [On written request].